Passed away peacefully on Friday 18th January 2019. Dearly loved Wife of Noel. Loved Mother and Mother-in-law of Alison & Reg. 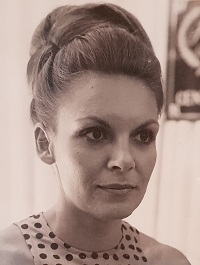 Family and Friends are warmly invited to attend Vicki’s Funeral Service to be held at the Sacred Heart Catholic Church, Murwillumbah on Friday 25th January 2019, at 2.00 pm (NSW). In lieu of flowers, donations to Wedgetail Retreat would be appreciated, with a donation box and envelopes available.